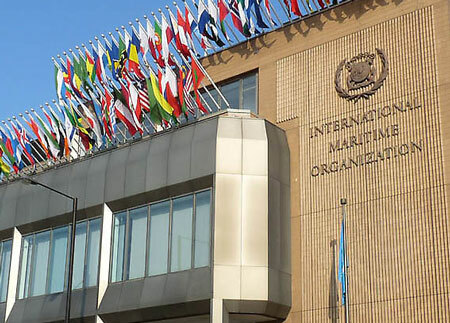 The International Maritime Organization (IMO) has adopted an important new requirement affecting shippers. The IMO amended the Safety of Life at Sea Convention (SOLAS) to require shippers to verify weights of packed containers, regardless of who packed the container. The measure is intended to address a problem with shippers providing incorrect packed container weights. This had led to casualties such as the one involving the containership MSC Napoli in January 2007 off the coast of the United Kingdom. Vessel operators do not have the capability to weigh containers that are being loaded, and proper vessel stowage planning requires the verification of accurate container weights before vessel loading. Thus, verification of actual container weight must be obtained on-shore, and provided to the vessel operator and the port terminal facility prior to the vessel loading process. In November 2014, the IMO adopted SOLAS amendments to address safety problems at sea and on shore related to container shipments with incorrect weight declarations. Since the U.S. did not take a reservation to the amendment, the requirement is also U.S. law. The U.S. Coast Guard is the responsible U.S. agency for enforcement of the new requirement. There are two permissible methods for weighting. Method 1 requires weighing the container after it has been packed. Method 2 requires weighing all of the cargo and the contents of the container and adding those weights to the container’s tare weight as indicated on the door end of the container. Estimating weight is not permitted. Either the shipper (or a third party selected by the shipper) must weigh the packed container or weigh its contents. Generally, the party packing the container cannot use the weight somebody else provided. In order to comply with the requirement, the shipper’s weight verification must be signed, meaning a specific person representing the shipper is named and identified as having verified the accuracy of the weight calculation on behalf of the shipper. The carrier may rely on the shipper’s signed weight verification to be accurate. The carrier does not need to be a verifier of the shipper’s weight verification. Terminal operators will also need to have in place procedures to deal with containers that do not have signed shipper weight verifications. Terminal operators can remedy these failures by weighing the packed container at the port. If the marine terminal does not have equipment to weigh containers and provide a verified weights, alternative means must be found to obtain the verified container weight. Otherwise, the packed container cannot be loaded. Procedures will have to be developed by marine terminals and carriers to deal with situations where no shipper verified weight is provided. Vessel operators and terminal operators are required to use verified packed container weights in vessel stowage plans. They are prohibited from loading a packed container aboard a vessel for export without this information. A shipper’s failure to comply with the new requirement will thus be extremely disruptive to maritime operations adding to the problem of congestion which has plagued ports. There are many issues that remain to be addressed, such as how the new law will be administered and enforced. Nonetheless, shippers, freight forwarders, shipping lines, and container terminals are urged to begin discussions on implementation of the new IMO regulation. The stakeholders should not let this requirement, which becomes legally binding on July 1, 2016, come as a surprise. This post originally appeared on GlobalTradeMag.com on October 12, 2016. How the Trump Administration’s Trade Policy affects your international business and what you can do about it? The Suarez Firm © 2019. All Rights Reserved.